Failed emails widget will give you an overview of which emails could not be delivered. Coaches can’t edit other coaches’ training sessions or attendance anymore. You will receive a certain percentage of your monthly payment as free SMS credits each month. As players are the core of your club, you probably want them and their parents to be alert to the schedules and any change in them. 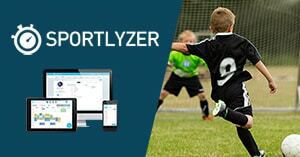 The best way for that is the Sportlyzer Player App and the Sportlyzer Parent App. All schedules will always be synced to their apps and push notifications can be sent to the phones’ home screens with any changes in the plan. And as you already know, there are lots of other useful functionality in the apps (see more from the links above). Add their emails to the players’ profiles (parents’ emails as parent contacts in the player profile). 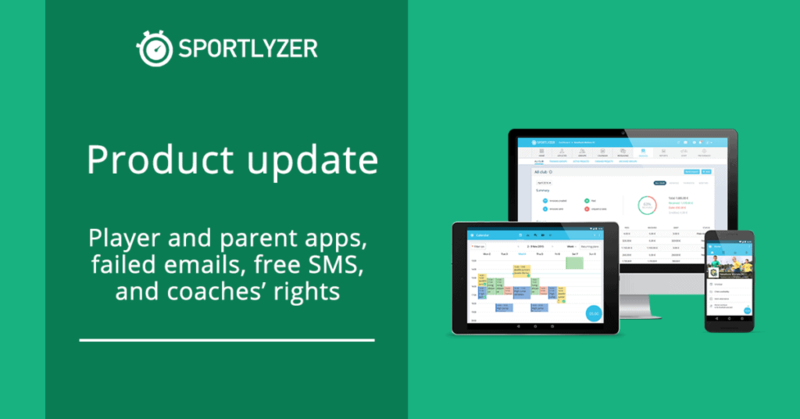 Choose “Invite players/parents to use Sportlyzer”. Click on “Send basic access”. Choose who should receive the instructions. Edit the message if necessary and send it out. And that’s it. The chosen recipients will receive instructions about how to set up their player or parent apps. Read more about different roles and the player or parent app. Sometimes, some emails are rejected by the recipient’s email server. There might be many reasons for that, including a mistake in the email address, full mailbox, email marked as spam, etc. Now you have the chance to see which emails were rejected and make corrections if necessary. The “Failed emails” widget is a widget in your Dashboard that will display a list of emails that have been rejected with the possibility to resend them if the error was temporary. Find the “Failed emails” widget and click on it. NB! Not all failed emails are currently shown here. The list includes failed emails sent from Messages, Invoicing, Groups, and some other places around the software. Also, note that it might take up to 48 hours for the recipient’s email server to send us some information whether the email failed or not. 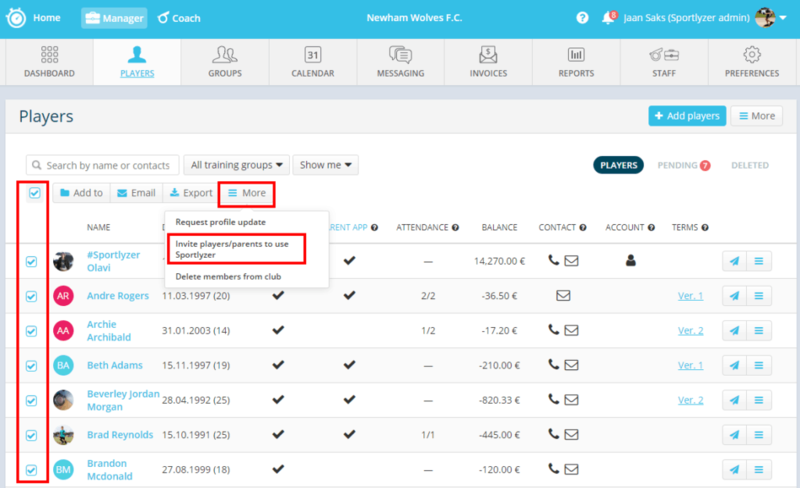 We have improved the Sportlyzer web app so that coaches could completely focus on their own training groups and couldn’t accidentally edit or remove other groups’ training sessions or attendance. This is especially useful for big clubs with tens of coaches where a single mistake could bring a lot of confusion. If your club’s coaches need to manage other groups as well, just give them rights to those groups or make them managers in the club. We are updating our free SMS policy to reflect your club size and payment so that everyone would get a fair amount of SMS-s for free. Until now, we offered a certain number of free SMS to a club each month, regardless of the club size. So a 20-member club and an 800-member club were treated equally. We will now make the free SMS count depend on your monthly payment. Check our pricing page to see how many free SMS credits you will get each month (choose your club size and then scroll down). And of course, you can always buy more if you run out of the free credits. 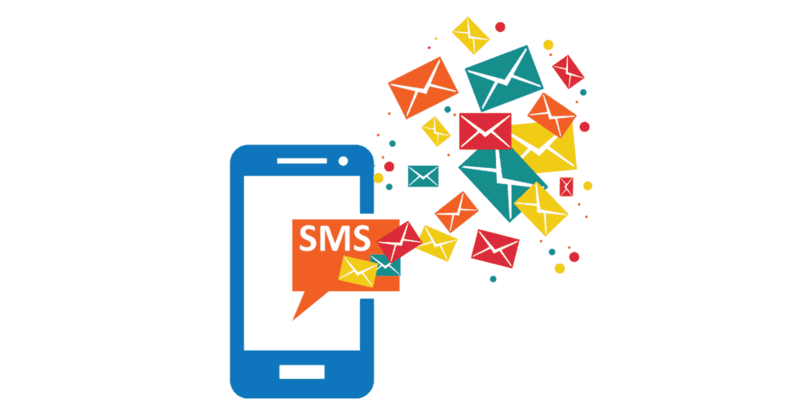 The new SMS policy will take effect on 1 February 2018.